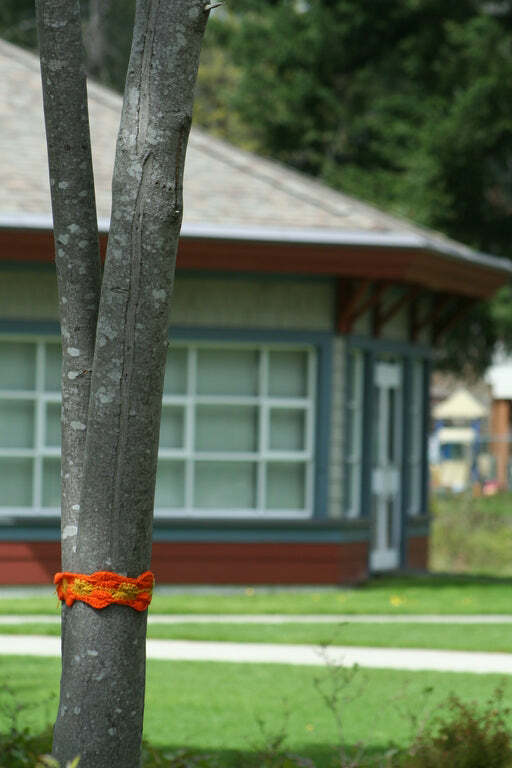 Another yarn bomb sighting! I love these enigmatic, anonymous yarn calling cards. 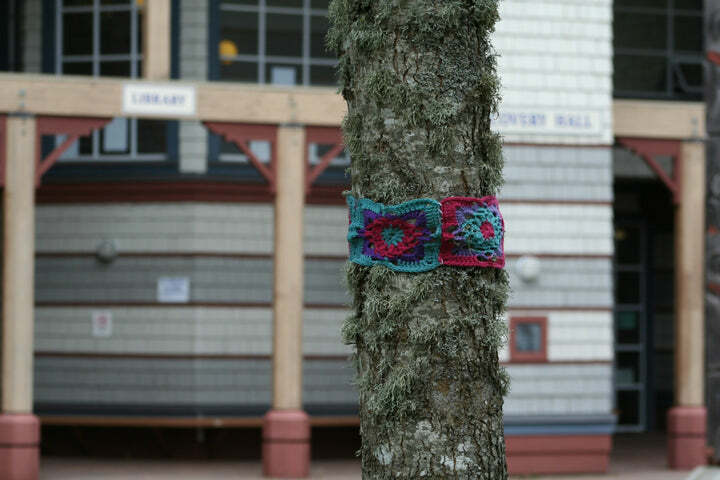 Thanks to my friends Darren and Teresa who saw these at North Island College in Courtenay and took some lovely photos. (It's a good thing some people in the world take their cameras with them, I always forget).